We've developed the ultimate cartridges based on users' feedback. We are the original E-Liquid specialist and our extensive research and careful crafting has created the very finest E-Cig cartridges. 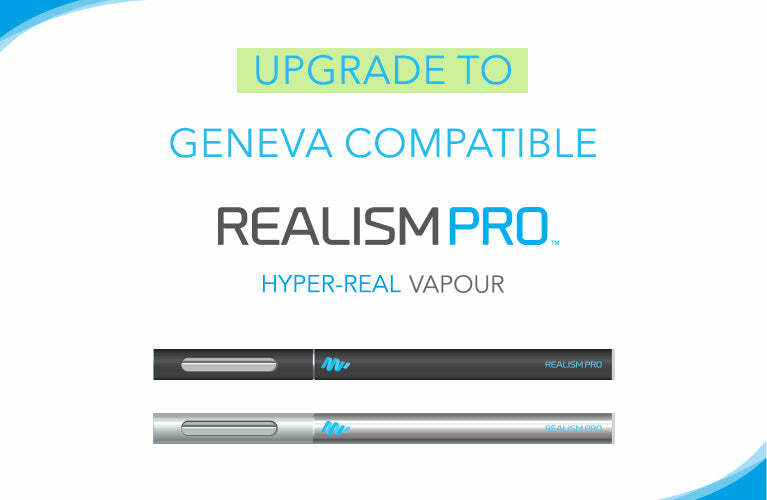 Our Geneva cartridges are specifically designed and engineered to be used with Green Smoke batteries. Upgrade to MagicMist cartomizer cartridges for Green Smoke batteries today and enjoy the thickest-vaping, best-tasting cartridges available. Our cartridges offer the best throat-hit and most realistic smoking experience possible - our E-Liquid is used by many of the world's largest E-Cig brands. Our cartomizers aren't affiliated with Green Smoke. Indeed, we've used customer feedback and conducted extensive research to develop and enhance our cartridges to provide the most satisfying and realistic vaping experience possible. We use the highest-quality atomizers and work closely with our supplier, using their own tobacco farms and cutting-edge R&D laboratory to create the finest E-Liquid with the perfect combination of ingredients, providing a rich, smooth flavour and maximum vapour. Our cartridges for Green Smoke contain 20% more E-Liquid than standard cartridges, for a longer life! Our Green Smoke compatible cartridges are available in rich Original Tobacco and Refreshing Menthol, each in 5 nicotine strengths from 0 to Extra High (20mg). Tobacco and Menthol refills are tan colour, perfectly complemented by our range of white, black and steel batteries. Each refill cartridge is roughly the equivalent of 40 cigarettes, our packs contain 5 cartridges and we offer significant savings for bulk purchases.